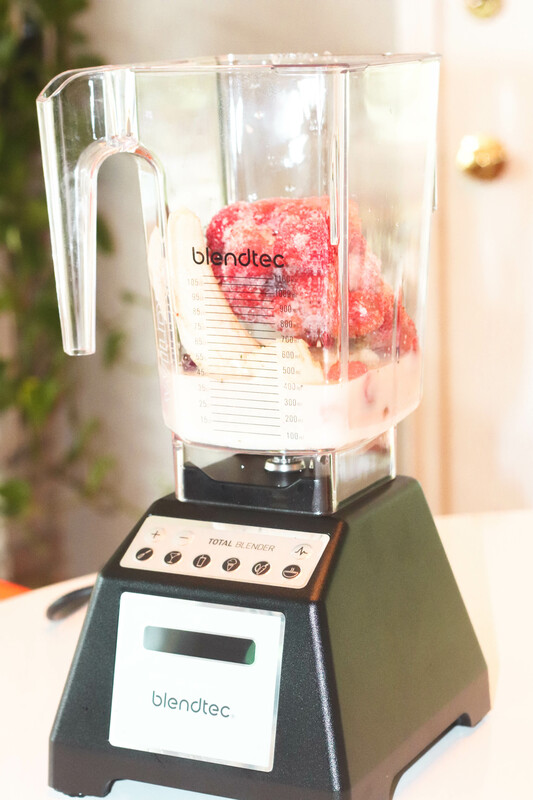 The Blendtec has the power of a commercial grade product which means it takes less than a minute to blend up smoothie mixes. It also looks incredibly stylish in your kitchen. 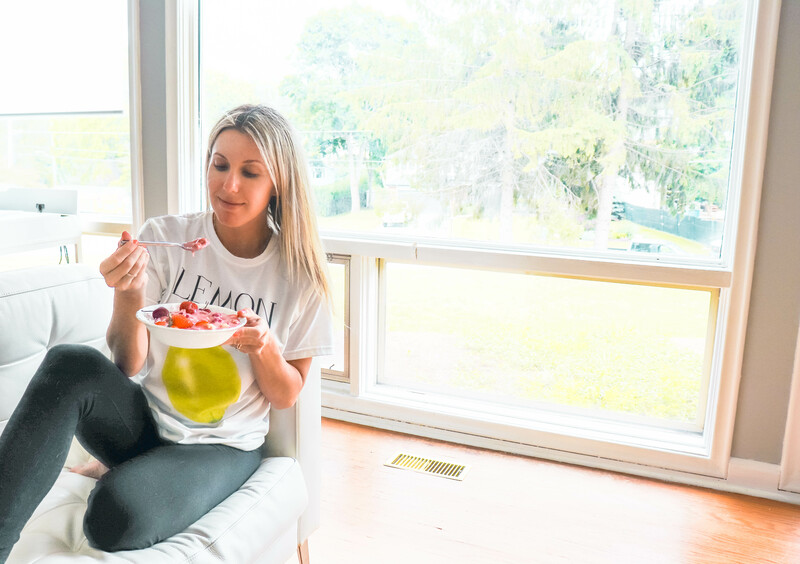 Things I personally care about! 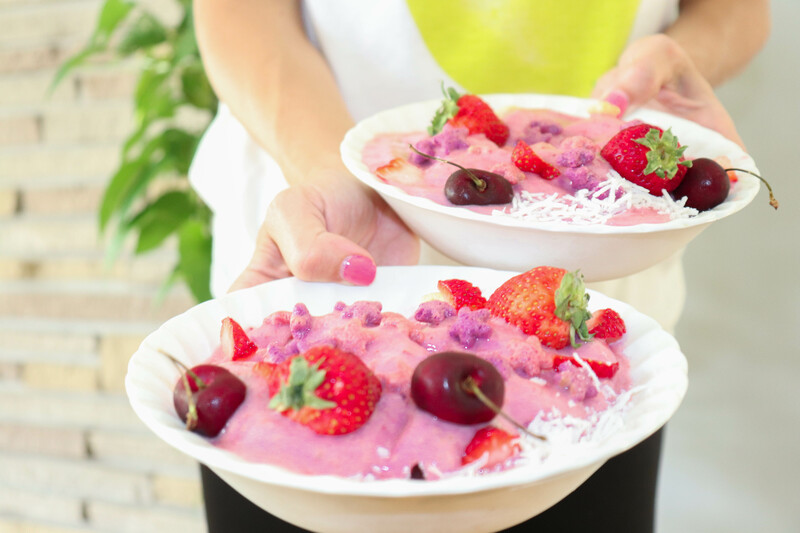 Look for further for a homemade smoothie bowl recipe! 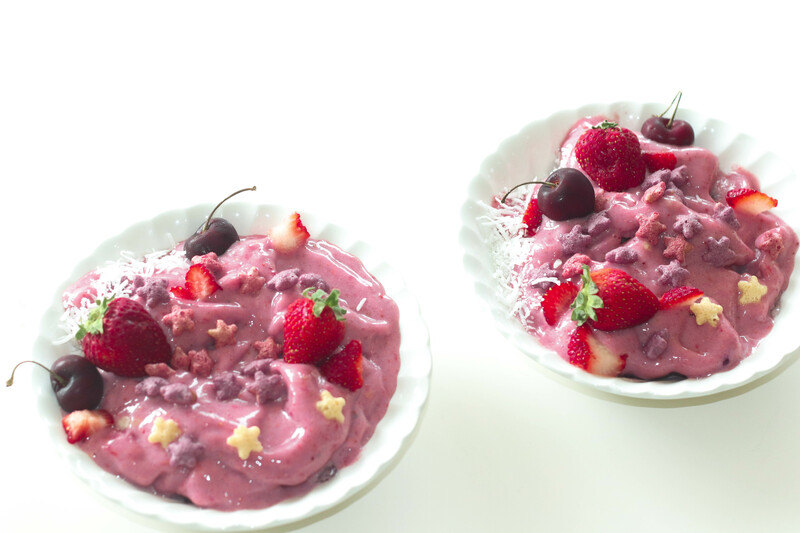 You can make this one right at home with the Blendtec and a handful of ingredients! 1. 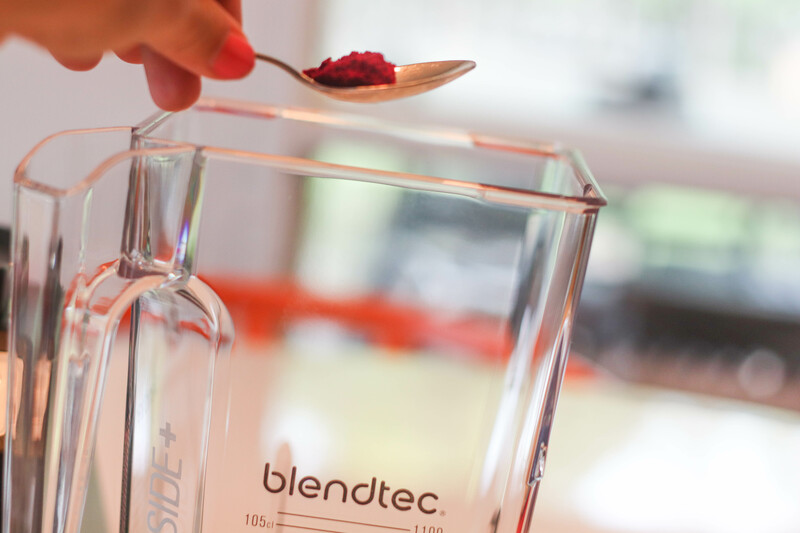 Blend all the ingredients together in the Blendtec on high. 2. 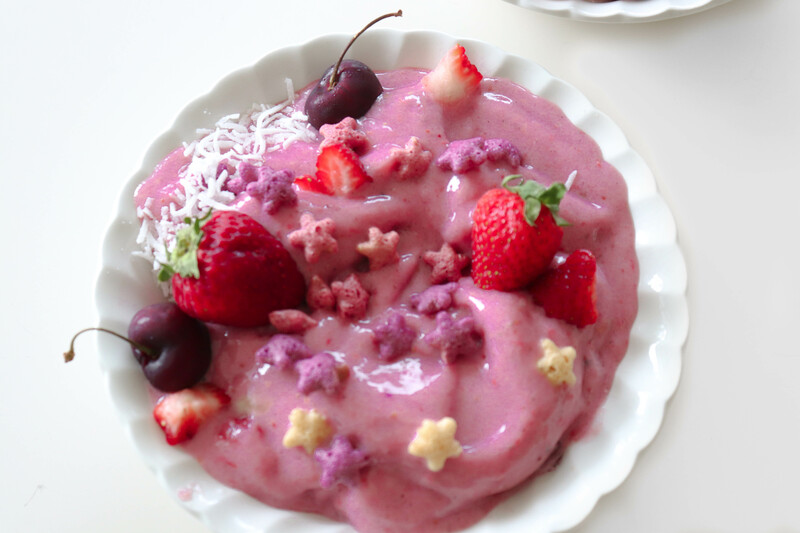 Scoop into a bowl and add your toppings of choice.